Widely regarded as one of Maine’s leading lobbyists, Jim Mitchell has been advocating on behalf of various client interests at the Maine Legislature for more than two decades. Jim has developed and executed numerous comprehensive integrated lobbying efforts to educate public officials, guide accurate and persuasive messaging and help shape prudent public policy. Jim has been active in Maine politics for more than 30 years; he served as Chairman of the Maine Democratic Party and later ran in a primary for U.S. Congress. He has also worked as campaign manager or strategic advisor for campaigns for U.S. Congress, Governor and U.S. Senate and served as statewide co-chair on a Presidential campaign. We strongly believe that each of our client’s unique lobbying programs should be carried out by our principals – not associates who are just learning the ropes. Our line of attack means you can be sure you’re getting the most aggressive and most effective approach. Informed by the extensive Maine political experience of our team, we develop and execute comprehensive lobbying programs to educate public officials, counteract misinformation about our clients and help shape prudent public policy. Connect with us and we'll get the job done. Josh Tardy, one of Maine’s most recognized political figures, has put his legal and political experience to work for clients since 2011. Josh is highly regarded for his expertise in Maine’s political arena and, within the Maine Republican Party, is often relied upon for his wise counsel. Josh is a practicing attorney. He served eight years in the Maine House of Representatives, including six years in caucus leadership positions. Currently Josh serves as chair of Governor Paul LePage’s Judicial Selection Committee and chair of the Federal Appointments Advisory Committee for Senator Susan Collins. He previously served as chair of Senator Susan Collins’ 2014 re-election committee and chair of the 2016 Trump campaign in Maine. 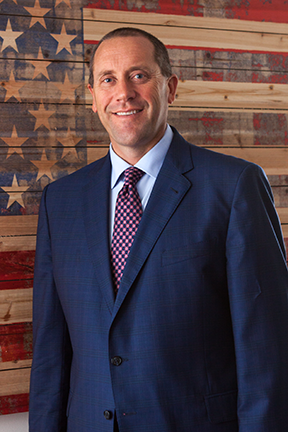 Chris Jackson has extensive experience advocating for associations and membership organizations. Prior to making the transition to independent lobbying in 2010, Chris’s in-depth knowledge of Maine’s board and committee processes served him well as the Maine State Chamber of Commerce’s staff lobbyist. In that role, he represented the state’s largest and most influential business group before the legislature and the executive branch. Chris has a strong reputation as as a skilled consensus-builder which serves his clients well. Prior to entering the private sector, Chris served as a Special Assistant to former Maine Senate President Rick Bennett, where he focused on public policy and public relations for the Senate President and the Senate Republican Caucus. He has managed a number of local and regional political campaigns, including that of the Republican gubernatorial nominee in 2006, and that of a Republican US Senate candidate in 2012. Ann Mitchell has more than 20 years of public affairs experience with a diverse group of companies and organizations including waste management, the pharmaceutical industry, health care and energy. Throughout her career, she has developed successful legislative, public affairs and media strategies to benefit clients. Ann has advised numerous corporate clients on local initiatives and helped implement grassroots campaigns to site major new facilities in locations with significant local opposition. Ann is known for her exceptional writing skills, her responsiveness to clients and the thoroughness with which she approaches her work. Mary Ann Lynch brings more than thirty years of experience in state and local government to the lobby team. She is well-respected throughout Maine government for her in-depth policy knowledge and skill at drafting legislation and negotiating with the legislative and executive branches. An attorney, Mary Ann served for nearly a decade as the government and media counsel for the Maine Judicial Branch. Early in her career, she served as a staffer for Governor Brennan, coordinating gubernatorial appointments and lobbying for the Governor’s legislative priorities. Mary Ann also brings private sector experience to the table, specifically in the energy sector. As Vice President of Law and Government Affairs for Maine Yankee Atomic Power Company, she successfully handled complex public policy and legal issues during the decommissioning period of the power plant. Active in her community, Mary Ann has been elected several times to the Cape Elizabeth Town Council, serving as Chair for two terms. Sharon Sudbay crafts strategic public affairs plans that incorporate stakeholder communications, outreach planning, and media relations assistance to several major national corporations doing business in Maine. Sharon has been involved in Maine politics for more than 30 years, including 14 years on the staff of former U.S. Senate Majority Leader George J. Mitchell. She has also served as campaign manager, political director, and field director on several statewide campaigns including for the U.S. Senate, the U.S. Congress and Governor. A Portland, Maine native, Sharon has been active politically in the Portland area, organizing significant volunteer efforts and civic events. Jake Mitchell ensures that clients have the most up-to-date information about relevant legislative happenings, media coverage, and political events. He develops legislative and regulatory tracking protocols tailored to meet the individual needs of clients, provides media analysis and monitors social media sites to ensure that clients have the information they need to most effectively get their message out to decision-makers across Maine. Emily Roderick has been involved in Maine politics for over a decade. As the administrative assistant at Mitchell Tardy Jackson, Emily uses her superb organizational skills and knowledge of Maine’s political scene to support the lobby team. In addition to her political involvement, Emily has worked as a preschool teacher and has operated her own childcare business. A resident of Readfield, she is also an active volunteer in her community.